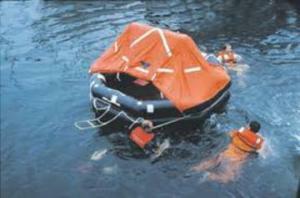 Boaters will be running an RYA Sea Survival Course on Saturday 4th December. Captain Ahab: For those in peril…. I recently watched on the Goggle-box a truly amazing, awe inspiring series of programmes. And no it was not the Rio Olympics. It was not even the Rio Paralympics. But about a group of ordinary people doing ordinary jobs who abandon whatever they are doing and leg it to the water’s edge whenever their bleeper starts to bleep. 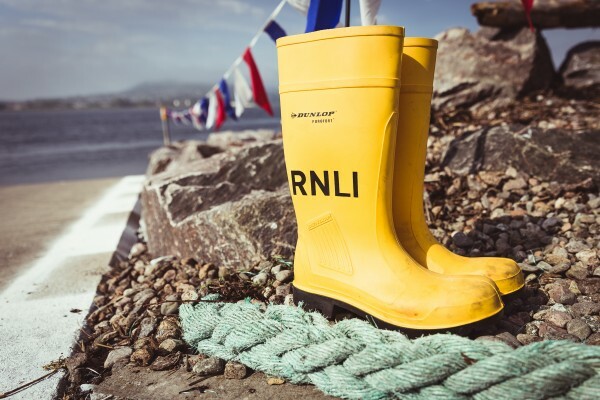 For this was a documentary series about those work for the RNLI. And when I say work, I mean those people who put their lives in peril at sea for those whose lives are already in peril. And for this they don’t get paid. Indeed it was so amazing that if I was a few years younger, well quite a few actually; a whole lot braver; a far better sailor; and lived far far closer to the water’s edge, I might have been beating a path to my local RNLI to ask how to join up. As Boaters we all know how unpredictable the sea and winds can be. And some of us will even know that even the best maintained boat can let us down from time to time. And when it does even the most experienced sailor may require the services of the RNLI. But too often as the programme showed the bleepers went off to help eejits. Usually with drink involved. Or drugs. Or just plain stupidity. It seems that there is a fast chunk of the land lubbing population who have forgotten as we have evolved from water inhabiting creatures to a race that belongs on land, that H2O is dangerous. And that if you have an IQ in double digits you should stay wall away from where the land meets the water. But to the brave boys and girls of the RNLI, even an eejit’s life is still worth saving. Even an eejit’s life is still worth putting your own neck on the line for. Not sure I could be as sanguine. They just go about their business saving lives. And that is why after every trip I make a donation to continue the work of the RNLI. You never know when you just might need them. Something that should be of interest to all active sailors! Forget about packing your comfortable 40 foot yacht with all your gear, food and wine for a weekend being gently blown along by the breeze, let alone for an extended passage. Salty Bill had just his kayak, and was setting out to propel himself around the UK. Quite a contrast but you’ll still recognise many of the issues he faced, from provisioning to passage planning and navigating our coastal waters. You can have new blog posts delivered to you as soon as they"re published simply by subscribing to the RSS Feed below! If you have an interest in sailing, then you will love our club. Why not contact us and become a member.